It looks like U Mobile has decided to revise its Unlimited Mobile Internet (UMI) prepaid package to give you more of what really matters – internet. 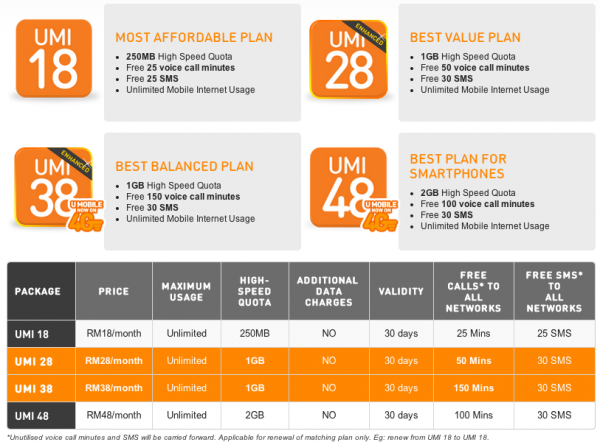 The telco recently “enhanced” its UMI 28 and UMI 38 bundles to offer more 1GB of high speed internet, 30 free SMS, and 50 and 150 minutes of free calls respectively. Previously, both the UMI 28 and UMI 38 only offered 500MB of high speed internet quota with more talk time. As with before, all the UMI prepaid plans have no maximum internet usage, meaning that if you have used up all the high-speed internet quota, your internet speed will be throttled instead of charging subscribers at a pay-as-you-use rate. Validity also remains the same at 30 days and unutilized voice call minutes and SMS will be carried forward. To subscribe to UMI 28, UMI 38 or any other UMI plans (remember, UMI 38 and UMI 48 comes with 4G LTE connectivity), simply dial *118*31# and select your desired UMI package. Alternatively, you can also send an SMS to 28188: ON UMI 18 for UMI 18, ON UMI 28, ON UMI 38 or ON UMI 48. 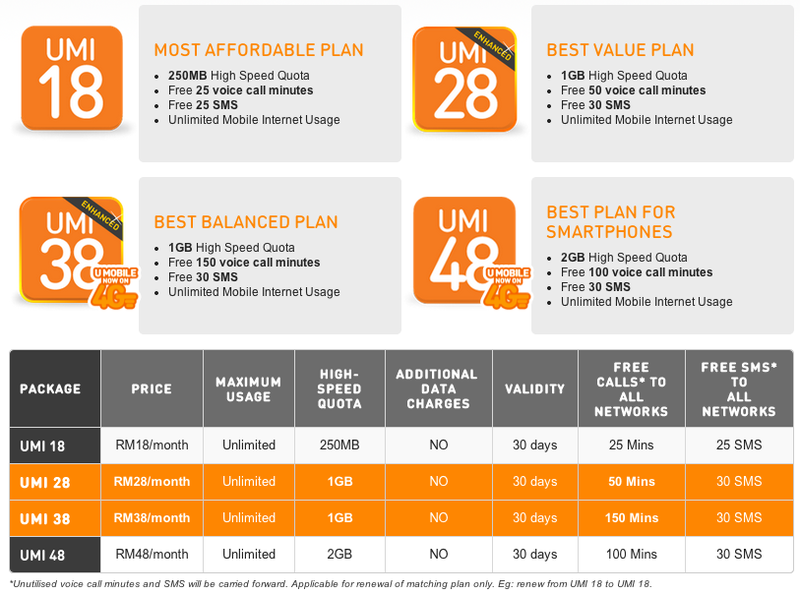 Visit U Mobile now to find out more about their UMI packages.